For a film that relies so heavily on CGI, it's great to see an artbook that's packed with great art to go with it. 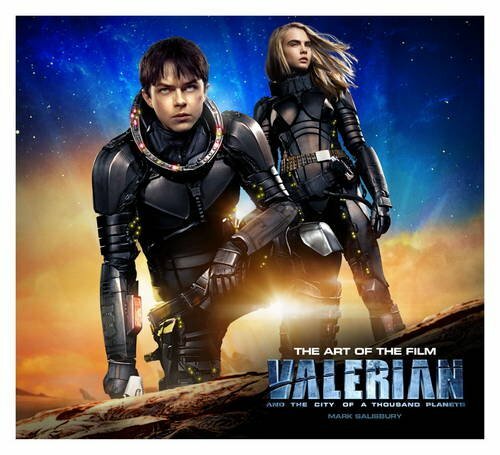 This large 192-page hardcover collects the concept art for the film. There are designs for the characters, creatures, weapons, spaceships and environment. The coverage for human character design is quite limited except for costume designs. The visuals are a mix of concept art, storyboards, set photography and 3D renders. Some are painted very quickly, like speed paintings, while others can be quite detailed. There's a good mixed of design variety and details. Background artworks are still my favourite. The speed painting style, not much. Overall, the book packs a lot of beautiful visual. There's not much text except for credits and the occasional commentary on the design. As a film companion, it's worth the money for the amount of content featured.